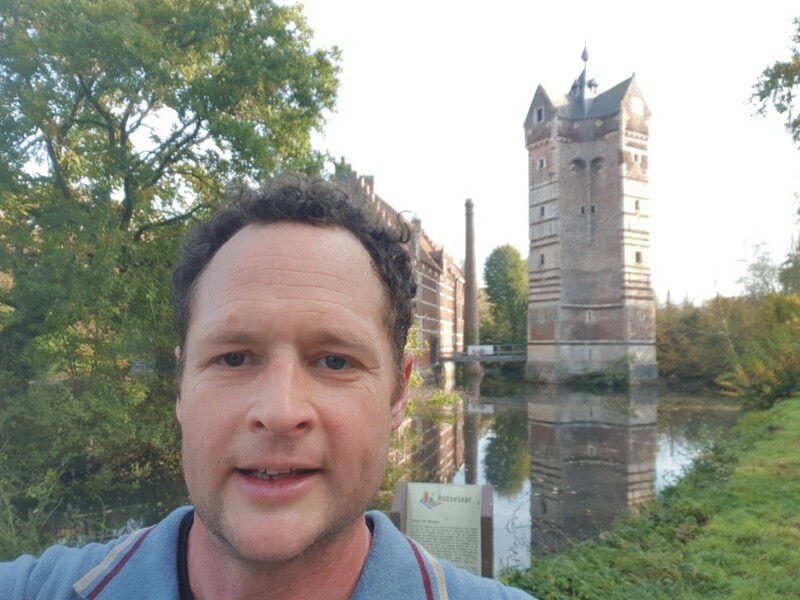 Mark Clilverd (British Antarctic Survey) returned to Dunedin in early March 2019 to work with us - one of the main goals of this years travel was working on a solar flare study. During his visit we headed south to the Catlin's. 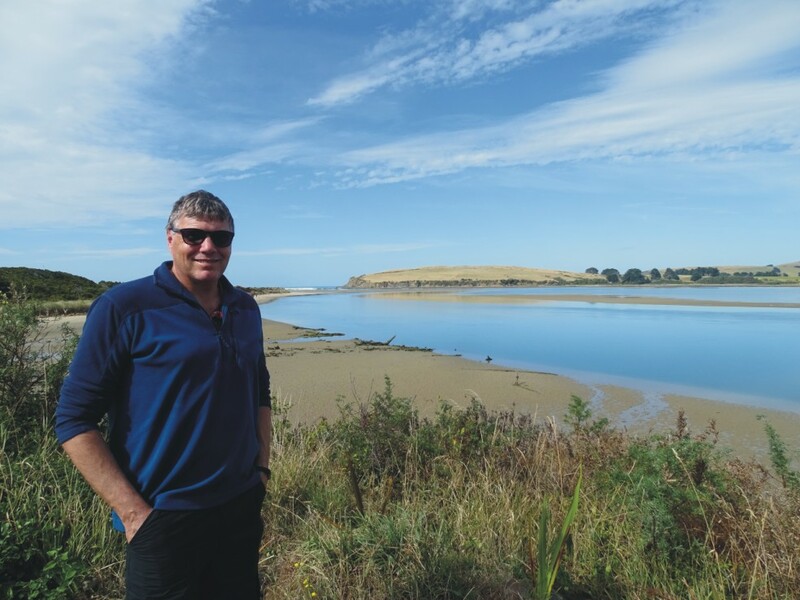 This image shows Mark by the Catlin's River at Newhaven, at the start of the walk to Surat Bay [9 March 2019]. 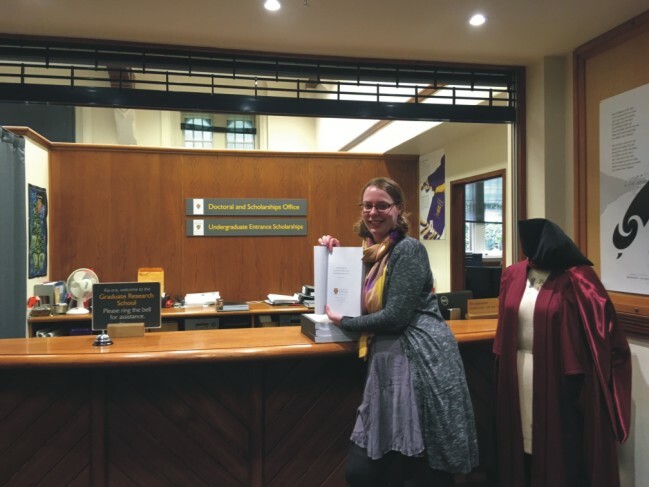 In early January 2019 former Space Physics Honours student Harriet George left Dunedin and travelled to Finland to take up a PhD position. Harriet is working in the Space Physics group of Helsinki University. This image shows Harriet in Helsinki Senate Square, with Helsinki Cathedral in the background. 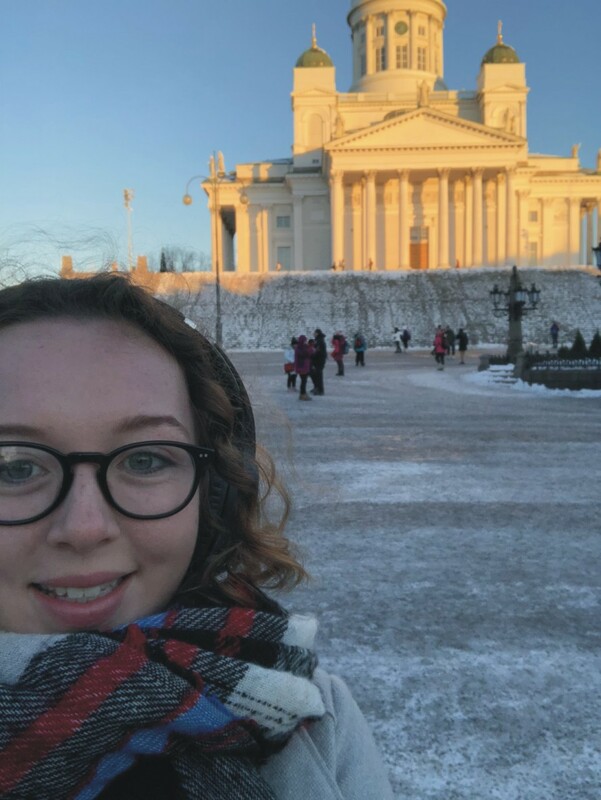 Harriet arrived in Finland in the middle of winter! [January 2019]. James Brundell in the Walter E. Washington Convention Center. James was visiting Washington DC to attend the American Geophysical Union Fall Meeting [9 Dec 2018]. 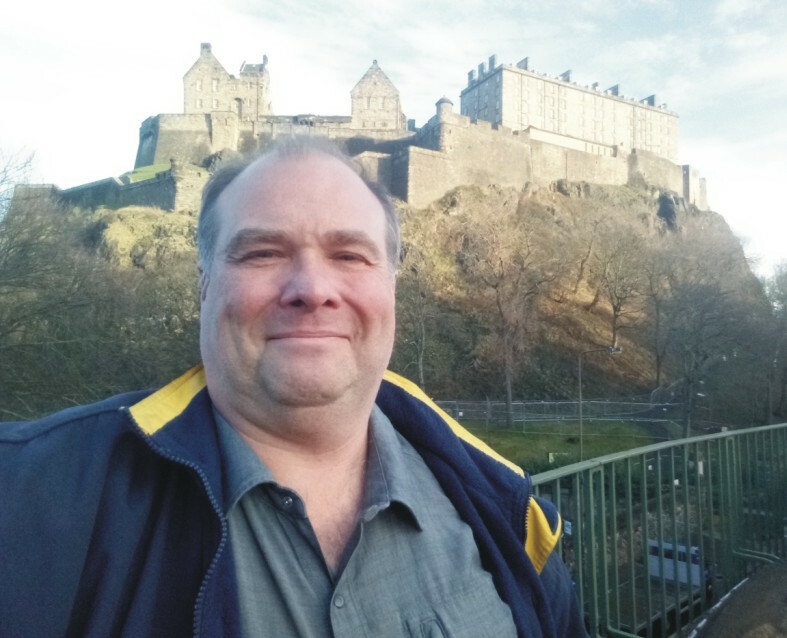 In late November 2018 Craig travelled to Edinburgh. His main aim was to talk with the experts at the British Geological Survey about Space Weather and Geomagnetically Induced Currents affecting energy infrastructure. Craig had a significant proposal to write, and wanted their advice. This image was taken during a short lunch time walk. That day it had stopped raining, and Edinburgh Castle was looking particularly magnificent [6 December 2018]. 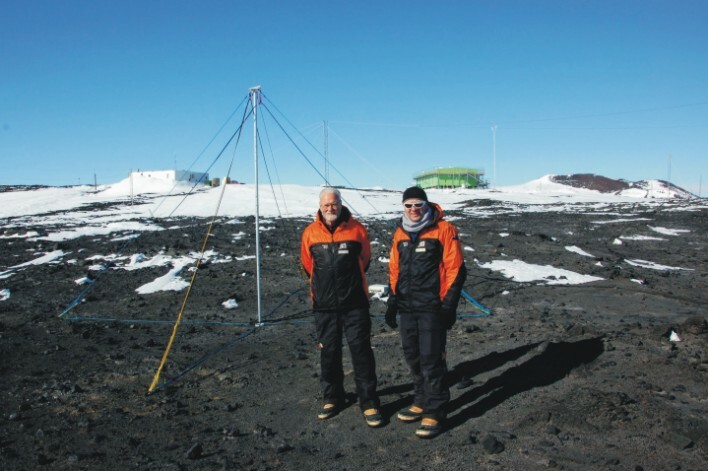 Myles Thayer (left) and James Brundell standing by the Otago Space Physics AARDDVARK VLF radio antenna at Arrival Heights, Ross Island, Antarctica. Our antenna has operated continuously since 2008 and is located in the Arrival Heights Antarctic Specially Protected Area (ASPA). This is a radio "quiet zone" close to McMurdo Station and Scott Base. Both stations operate science programs here in the ASPA. The white lab building is run by USAP and the Antarctica NZ laboratory sports the usual Scott base green paint scheme. The actual colour is known as "Chelsea cucumber" (Resene paint 6-071). Myles and James were in Antarctica for Otago Space Physics Antarctic Expedition 11 [17 November 2018]. 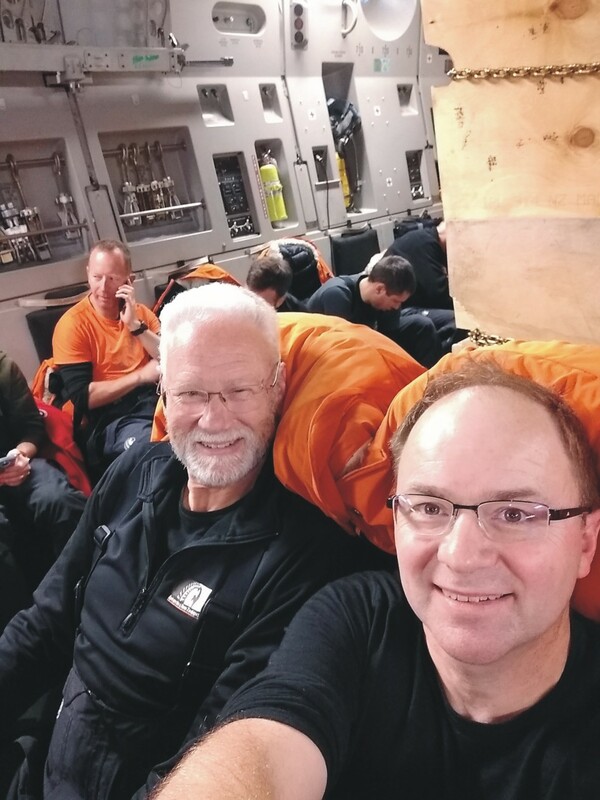 On the morning of Monday 12 November 2018, Space Physics Antarctic Expedition 11 flew south to Scott Base. This picture shows Myles Thayer and Dr James Brundell shortly before takeoff on a USAF C-17 transport. 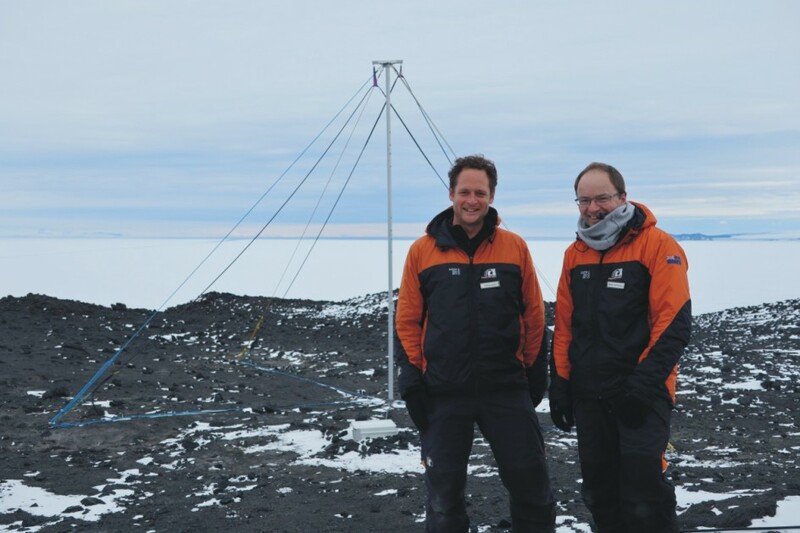 Myles and James will gather high-resolution data and undertake maintenance on our experiments on the ice. On Friday 12 October the American-New Zealand company Rocket Lab opened their new rocket development and production facility in Auckland. 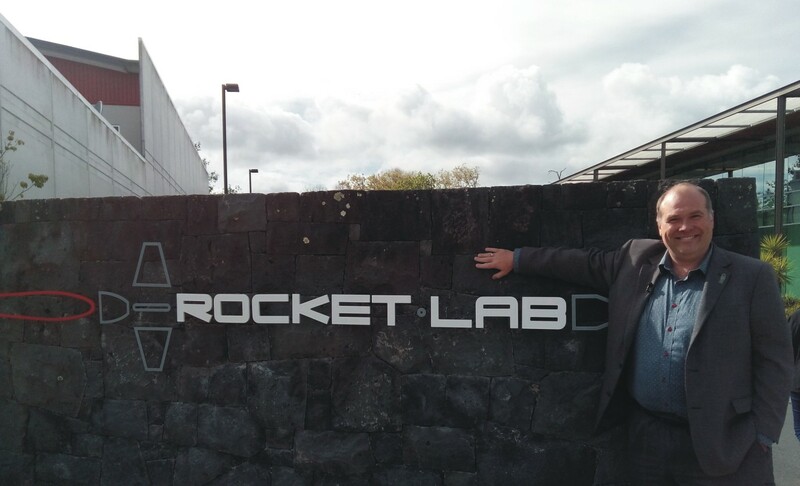 The day beforehand Craig went to Auckland with TVNZ - he was lucky enough to be toured around the facility by Rocket Lab Chief Executive Peter Beck. What a day for a Space Physicist! [11 October 2018]. On Friday TVNZ's Seven Sharp show broadcast parts of the tour. 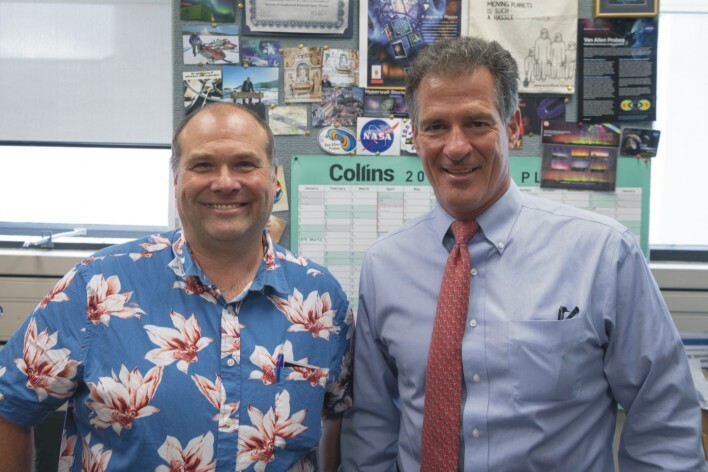 Scott Brown, the US Ambassador to New Zealand visited Dunedin in mid-October, and came to the Physics Department. Craig and Scott had a talk about space, and the exciting developments occurring in this field involving New Zealand and the USA. He was kind enough to pose some photos in Craig's office before moving on to one of our quantum research laboratories [10 October 2018]. In October 2018 the Otago Space Physics group hosted this years Intrenational CHAMOS workshop (CHAMOS stands for Chemical Aeronomy in the Mesosphere and Ozone in the Stratosphere). The team covered four countries. Present from left to right: Ji-Hee Lee (Korea Polar Research Institute), Jia Jia (Sodankylä Geophysical Observatory), Maxime Grandin (Univ. Helsinki), Annika Seppälä (Univ. Otago), Emily Gordon (Univ. Otago), Harriet George (Univ. Otago), Craig Rodger (Univ. Otago), Mark Clilverd (British Antarctic Survey), Emma Douma (Univ. Otago), Antti Kero (Sodankylä Geophysical Observatory), and Esa Turunen (Sodankylä Geophysical Observatory). The image was taken outside the Otago Physics Department, with the registry clocktower building in the background on 9 October 2018. 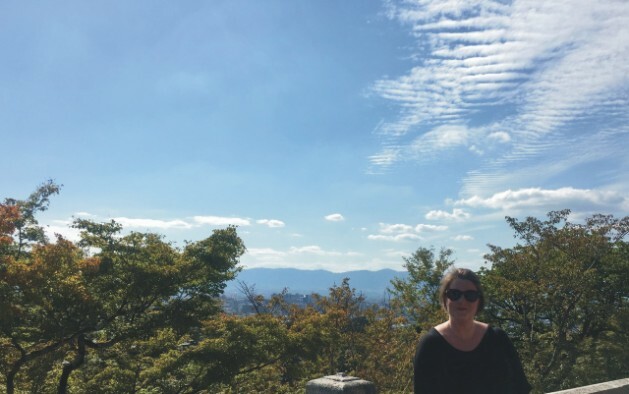 Annika travelled to the SPARC 2018 General Assembly which took place in early October in Kyoto, Japan. Here she is up at the Kiyomizu-dera temple with Kyoto skyline and some nice cirrocumulus clouds in the background. SPARC (Stratosphere-Troposphere Processes And their Role in Climate) is a core project of the World Climate Research Programme. 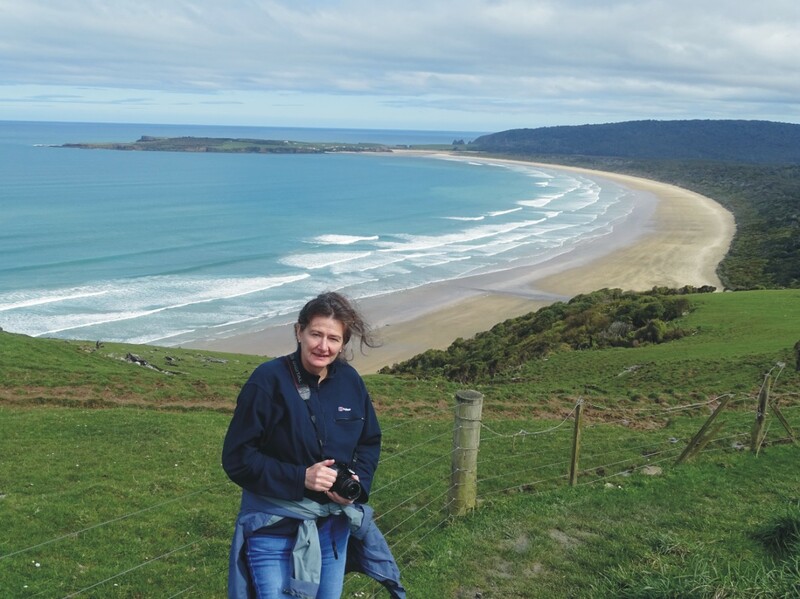 Ellen Clarke (British Geological Survey) travelled from Edinburgh in late September 2018, coming to Dunedin for the second time. 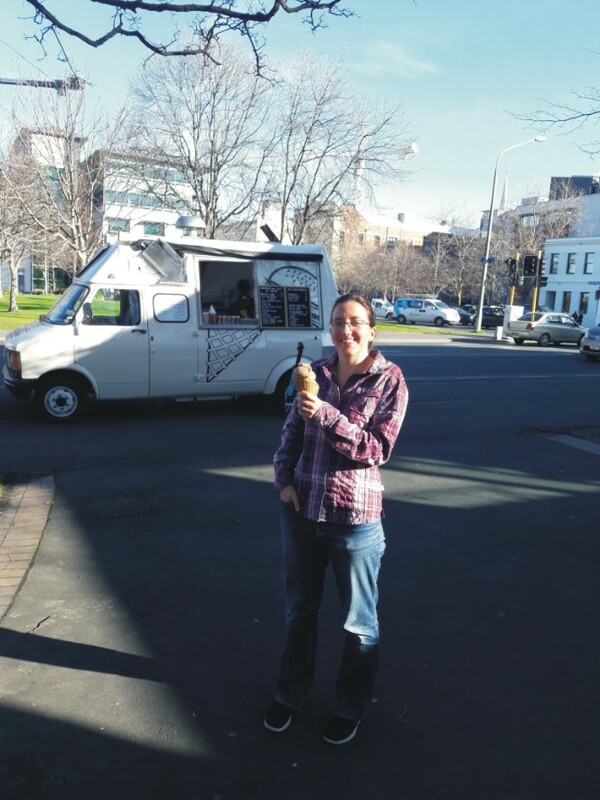 Ellen's visit was part of our Space Weather research project, funded by MBIE to investigate the hazard from space to New Zealand's electrical transmission grid. 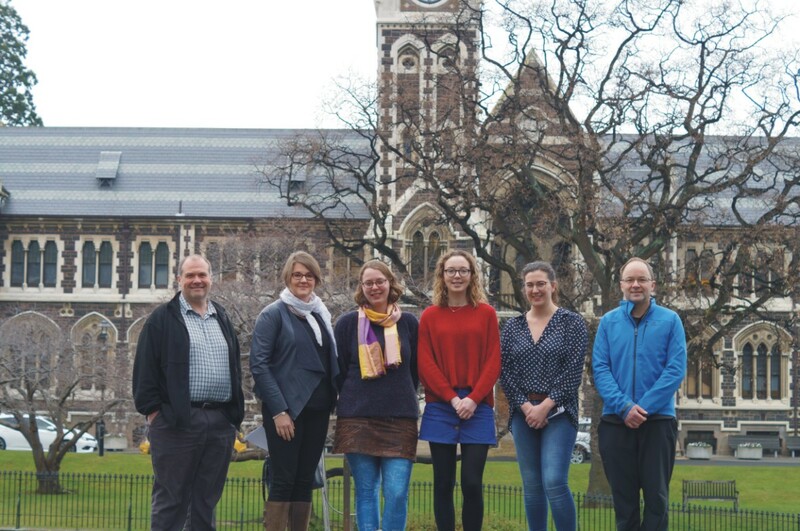 This trip allowed Ellen to be part of our MBIE project close down meeting at the end of September 2018, and also to give a colloquia in the Otago Physics Department. 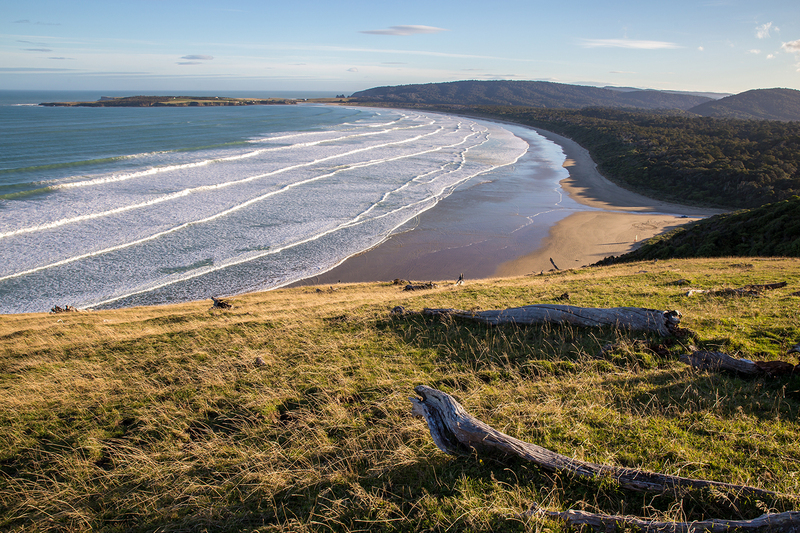 During her time in Dunedin we headed south to the Catlins. As part of our exploration, we stopped at the Florence Hill lookout looking over Tautuku Bay - a classic photo spot! [30 September 2018]. Mark Clilverd (British Antarctic Survey) came to New Zealand again in late 2018. This second visit, in September-October 2018, allowed Mark to attend the close down of the Otago lead MBIE research programme ("Solar Tsunami's") and the CHAMOS workshop. We also used the time together to move forward various collaborative scientific projects. In the first weekend we drove south on the Sunday to visit the Catlins. 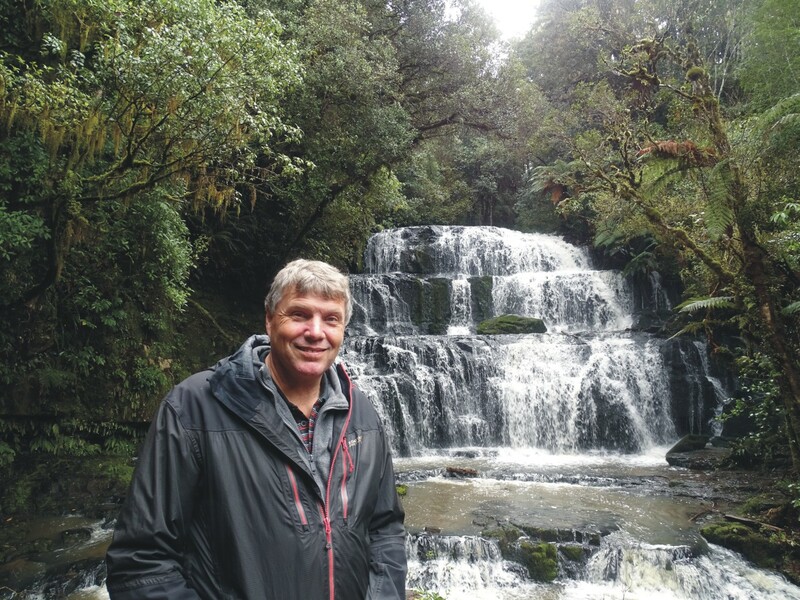 Here Mark is seen in front of the Purakaunui waterfall. There had been strong rainfall overnight, so the waterfall was very active [30 September 2018]. Close down meeting for our MBIE funded project "Solar Tusnami's", investigating the hazard posed by Space Weather to the New Zealand Electrical network. 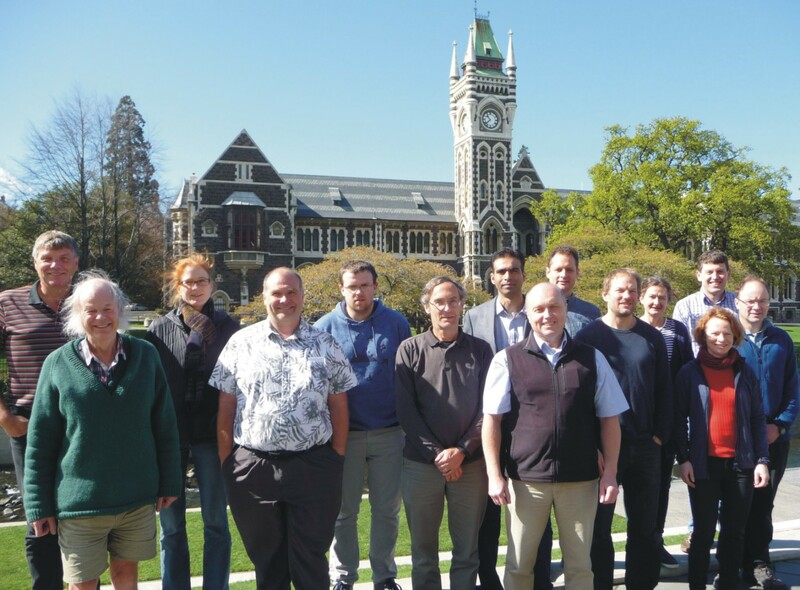 The meeting was hosted by the Otago Space Physics group in Dunedin. 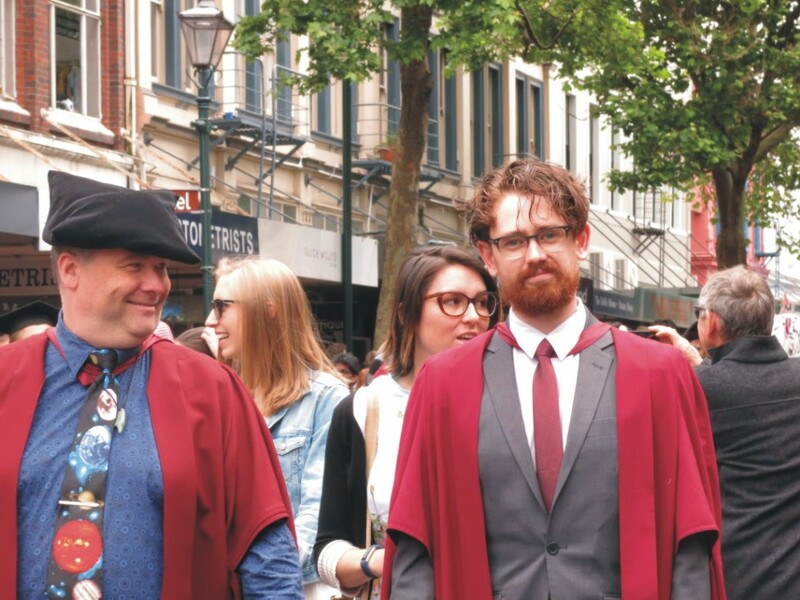 In the image, from left to right: Mark Clilverd (British Antarctic Survey), Neil Thomson (OtagoU), Wiebke Heise (GNS Science), Craig Rodger (OtagoU), Daniel Mac Manus (OtagoU), Malcolm Ingham (VUW), Kamran Mukhtar (VUW), Alan Thomson (British Geological Survey), Tim Divett (OtagoU), Ted Bertrand (GNS Science), Ellen Clarke (British Geological Survey), Tanja Peterson (GNS Science), Mike Dalzell (Transpower), James Brundell (OtagoU) [28 September 2018]. 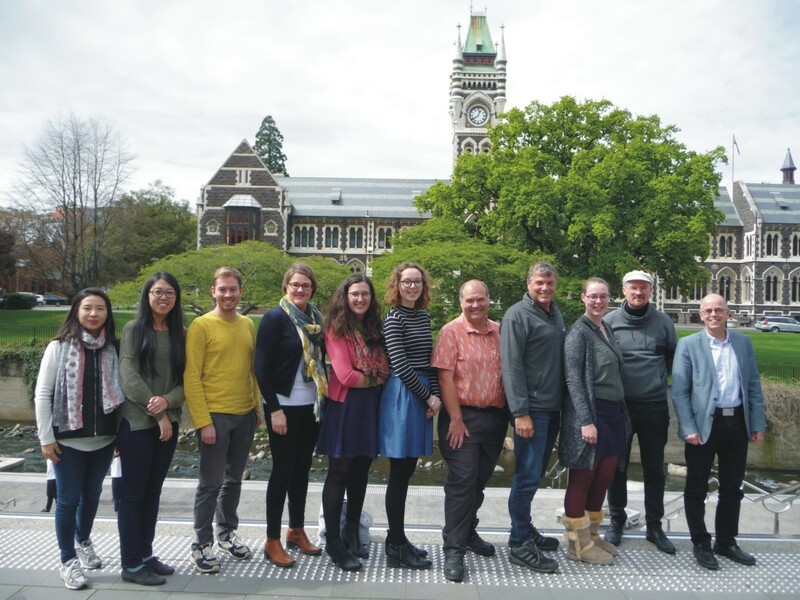 We tried again to update the Otago Space Physics Group team picture on 4 September 2018. Shown in the photo from left to right: Neil Thomson, Emily Gordon, Craig Rodger, Daniel Mac Manus, Harriet George, Tim Divett. and Annika Seppälä. Missing: Emma Douma and James Brundell. PhD candidate and Space Physics student Emma Douma submitting her PhD thesis at the Graduate Research School in the University of Otago clocktower building. Her PhD thesis is entitled "Relativistic Electron Microbursts: Properties and Possible Plasma Wave Drivers" and is now being examined [24 August 2018]. Gemma Richardson (British Geological Survey) standing on the edge of the University of Otago campus. She came to Dunedin to work with the Space Physics group on Geomagnetically Induced Currents in electrical networks. While visiting us in winter, some days are nice, and here Gemma is enjoying an ice cream [July 2018]. Emma Douma and Craig Rodger outside the Pasadena Convention Centre. 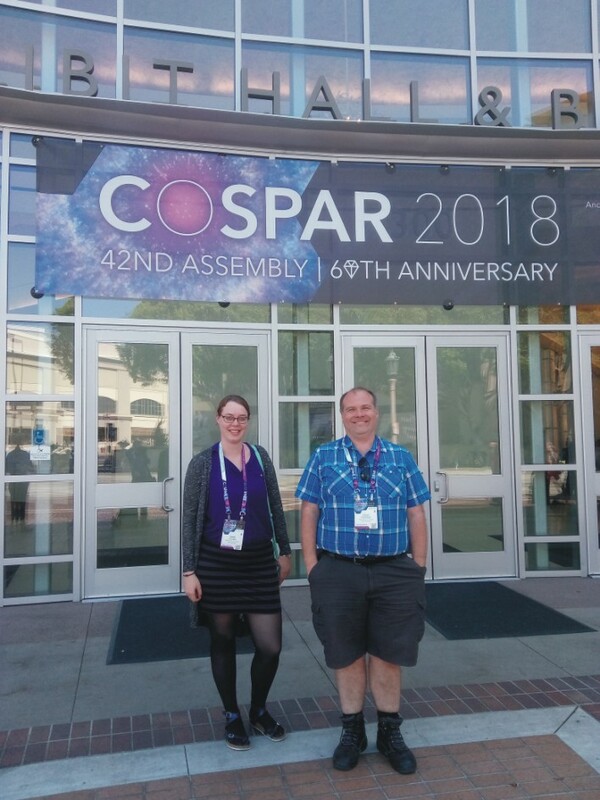 Craig and Emma travelled to the USA to attend the COSPAR2018 conference - on the 60th anniversary of the formation of COSPAR, the launch of Sputnik-1, and the discovery of the radiation belts [20 July 2018]. 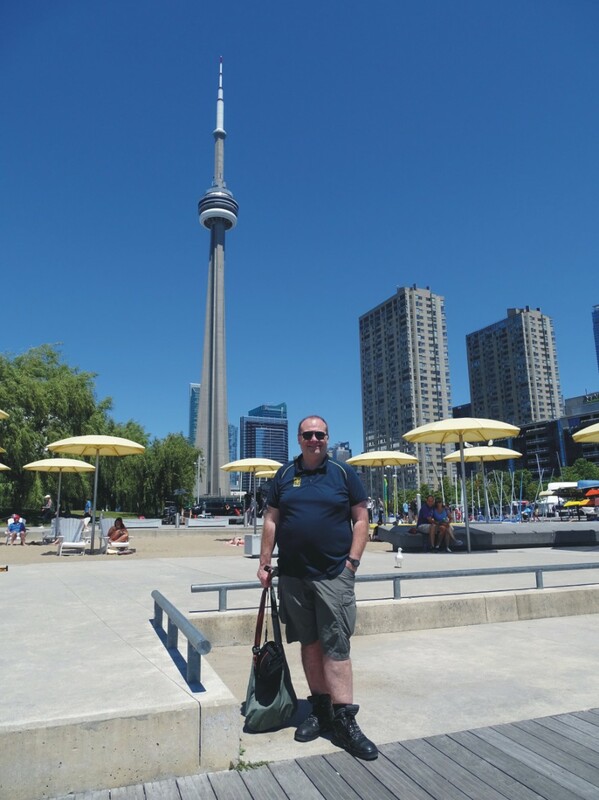 Craig Rodger on the lakeside in Toronto with the CN Tower in then background. Craig was visiting Toronto to attend the SCOSTEP 14th Quadrennial Solar-Terrestrial Physics Symposium (STP14) at York University [7 July 2018]. The Otago Space Physics Group tried to update our team picture on 6 July 2018. Shown in the photo from left to right: Craig Rodger, Annika Seppälä, Emma Douma, Harriet George, Emily Gordon, and James Brundell. Missing: Daniel Mac Manus, Neil Thomson, and Tim Divett. 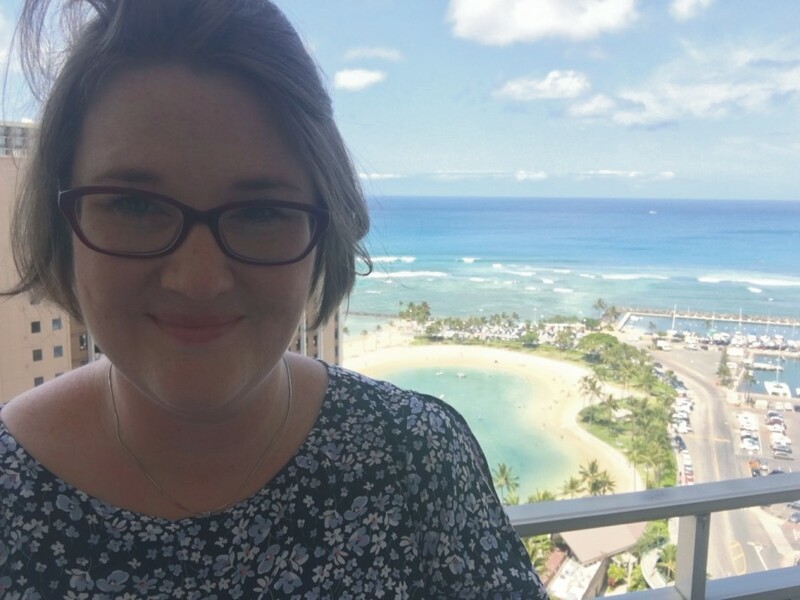 Annika visited Hawaii to attend the 15th Annual Asia Oceania Geosciences Society (AOGS) meeting where she gave a talk on microburst impact on atmospheric chemistry. The conference venue was near the famous Waikiki surfing beach, some of which is seen in the background [image from 10 June 2018]. 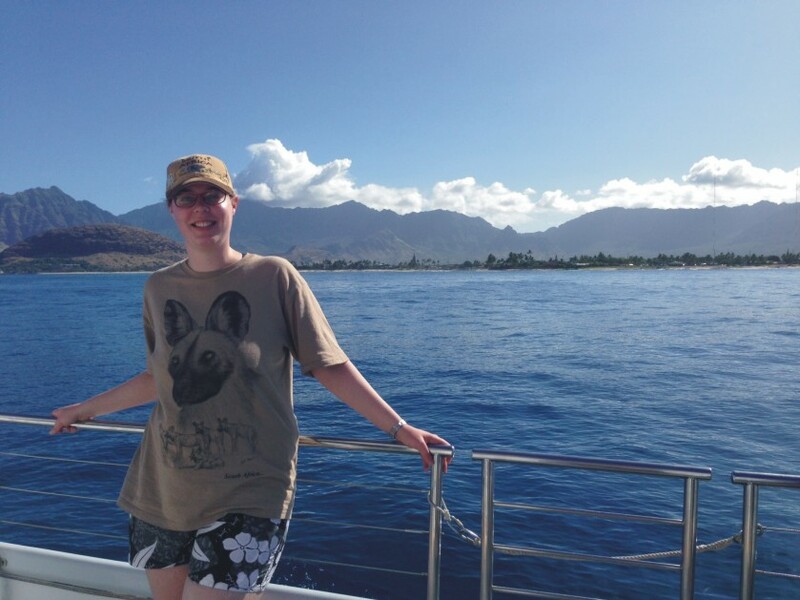 PhD student Emma Douma cruising up the leeward coast of Oahu, Hawaii, to a snorkeling spot with green sea turtles. 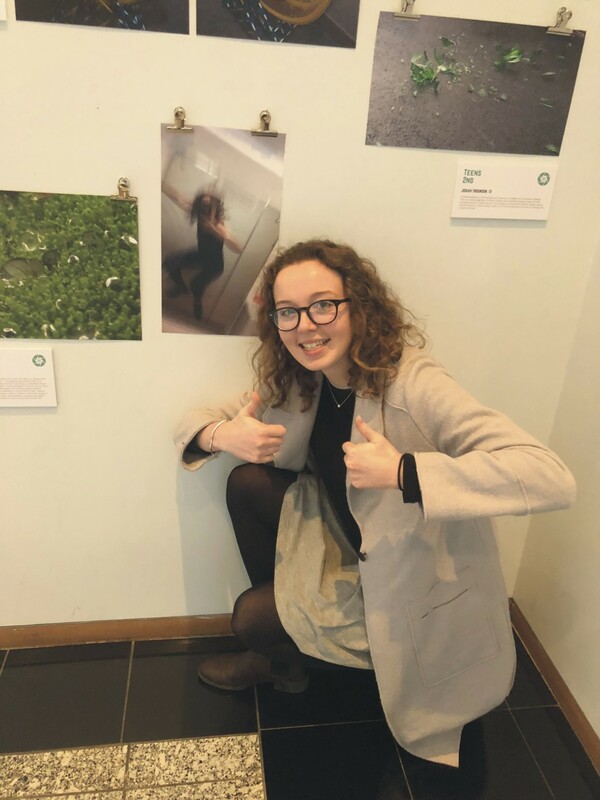 Emma was visiting Hawaii to attend the 15th annual Asia Oceania Geosciences Society (AOGS) meeting, where she presented an oral and a poster on her PhD research. The meeting was held in Honolulu from 3-8 June 2018 [image from 2 June 2018]. Ellen Clarke, Tim Divett, Gemma Richardson, Alan Thomson and Ciaran Beggan outside the British Geological Survey's office in the Lyell Centre, Edinburgh during Tim's visit to work on modelling geomagnetically induced currents in New Zealand's power network. Tim spent two weeks working in Edinburgh with the BGS Space Weather research team [22 May 2018]. New Zealand Geomagnetically Induced Current researchers meet at the HVDC station at the Benmore Hydroelectric Power Station. 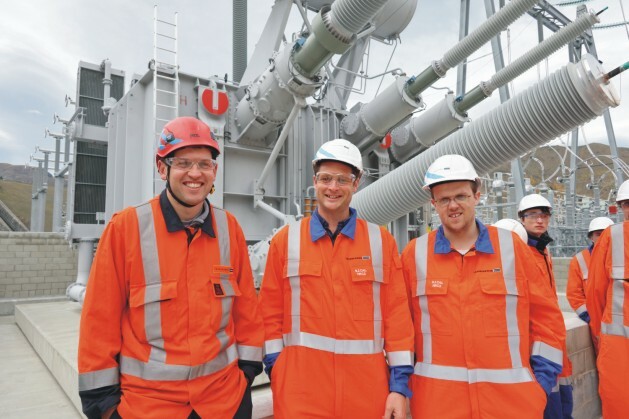 From left to right: Mike Dalzell (Transpower New Zealand Team Leader – HVDC & Power Electronics Engineering), Tim Divett (University of Otago PostDoc), and Daniel Mac Manus (University of Otago MSc student). The team is standing in front of the AC to DC transformer for Pole 3 of the HVDC Inter-island link. The visit took place during a planned tour of the Benmore dam on 19 April 2018. 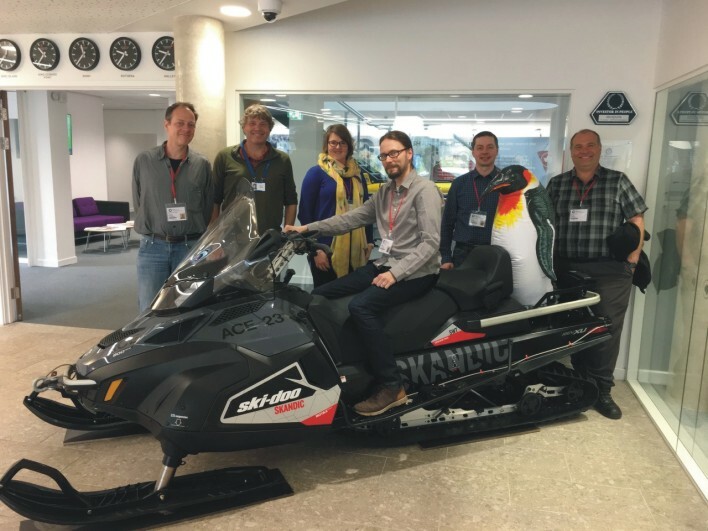 The second Cambridge Energetic Electron Precipitation (EEP) meeting of the CHAMOS research collaboration gathered at the British Antarctic Survey in April 2018. We discussed improvements to our electron precipitation representations for input into climate models. The skidoo, and the inflatable penguin, are located in the BAS foyer. Shown are, from left to right: Max van de Kamp, Mark Clilverd, Annika Seppälä, Niilo Kalakoski, Pekka Verronen, penguin, and Craig Rodger [11 April 2018]. 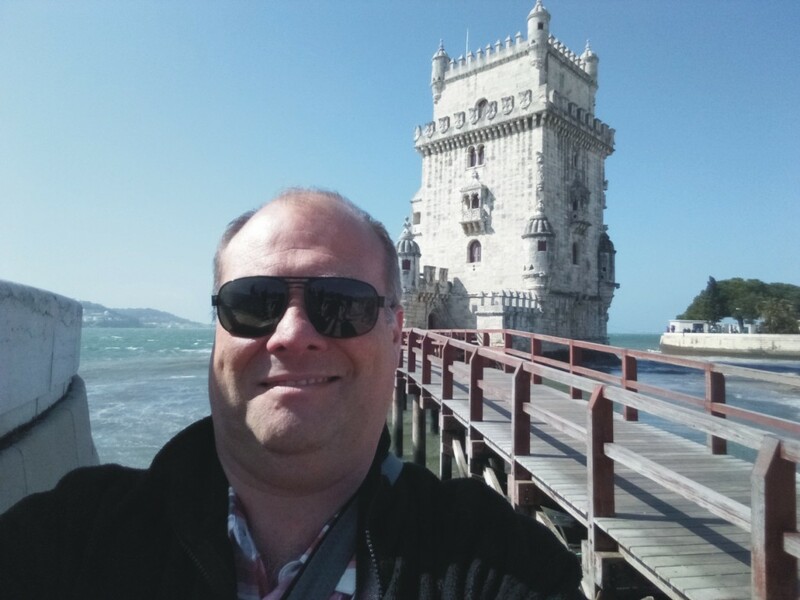 Craig Rodger takes a selfie at the Belém Tower, at the mouth of the Tagus River which leads to Lisbon. 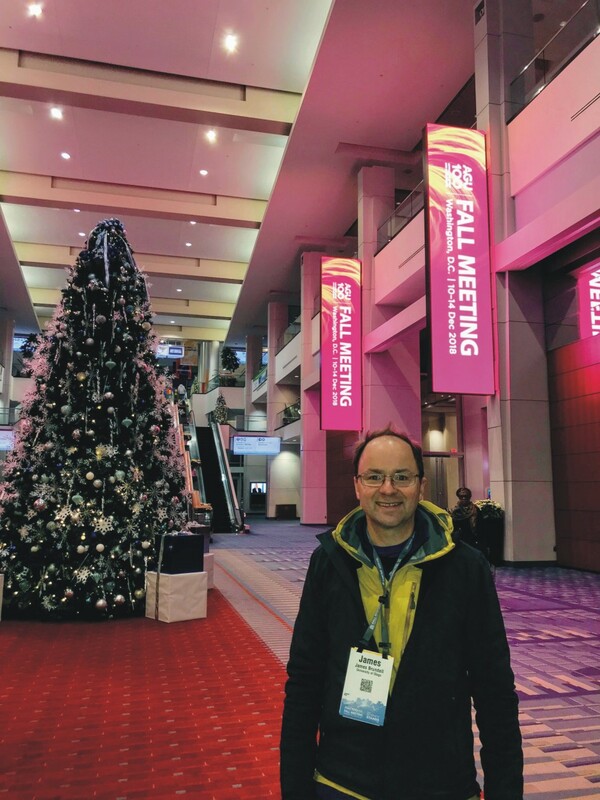 Craig was visiting the city after the AGU Chapman Conference on Particle Dynamics in the Earth’s Radiation Belts. That meeting was held just outside the town of Cascais [10 March 2018]. Space Physics Antarctic Expedition 10 travelled to Antarctica in early-mid February 2018. 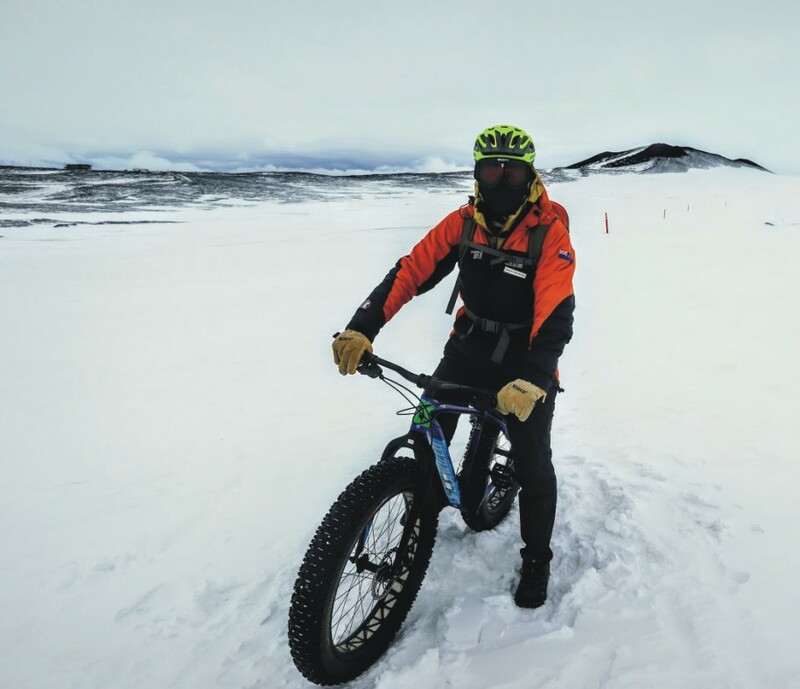 On the day before they flew home, Space Physics PostDoc Dr. Tim Divett was able to go cross country skiing on the Ross Ice Shelf, near Scott Base [10 February 2018]. 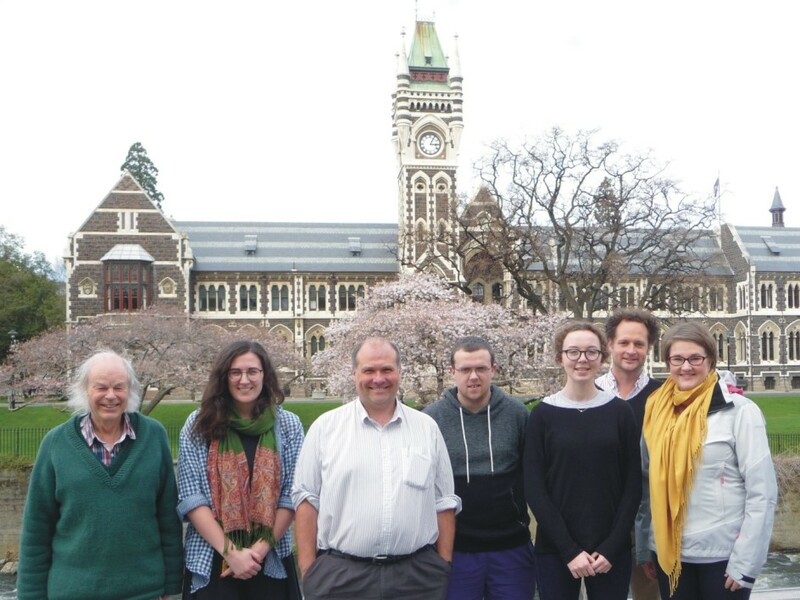 In January-February 2018 Mark Clilverd (British Antarctic Survey) returned to the Otago Space Physics Group. 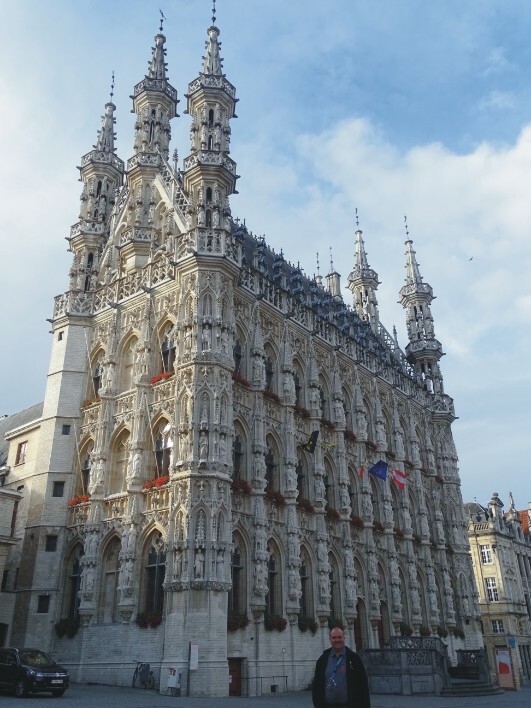 Mark was in Dunedin for about 2 weeks, focused on multiple projects. We also went to Wellington to visit Transpower New Zealand Ltd. to talk about our Geomagnetically Induced Current research. 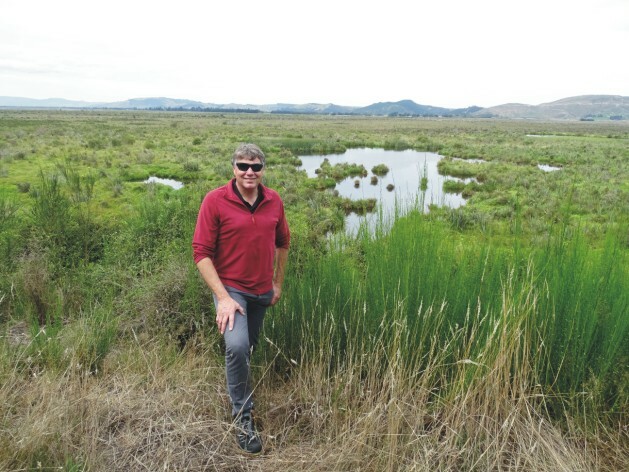 In the weekend, we visit the Sinclair Wetlands just south of Dunedin, where this picture was taken [4 February 2018]. What to see more images? Look at our current images, images from 2016-2017, images from 2014-2015, images from 2012-2013, images from 2010-2011, images from 2008-2009, images from 2006-2007 or the images from 2004-2005 or the images from 1997-2003!